This stunning set of delicately crafted Sterling Silver Striped Mother of Pearl cufflinks are individually made with the intention to help you impress at any formal event. The luxurious Mother of Pearl will allow your outfit to have double the impact whilst the sophisticated design will add even more personality to your attire as it is quite unique. 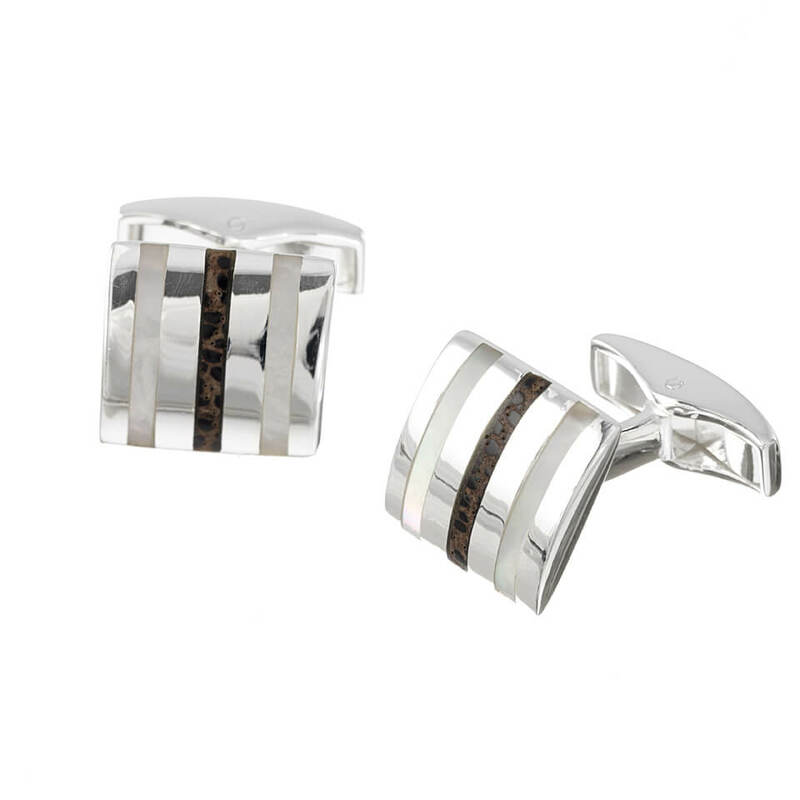 Our cufflinks will compliment your fashion sense perfectly.